As a concept, “future justice” is theoretically vast, for it encompasses all the rights of all the people (and nature, as some countries have begun to recognize the rights of ecosystems) living in the future. If all goes well, the people of the future will greatly outnumber all the people alive today. Their rights to clean water, a stable climate, and a world free from oppression and war should therefore count greatly in our decision making. In practice, however, the topic of future justice is frighteningly small, occupying no more than a few small pixels on the great screen of the world. The early years of the 21st century saw a sudden growth of interest in future justice, and several countries began experimenting with the creation of new governmental commissioners or “ombudsmen” whose job was to safeguard those rights. Most often, the initial focus was on the environment; but issues of human rights were also in the picture. Hungary, the Philippines, and Namibia have functioning ombudsmen, with varying degrees of autonomy and authority, ranging from the ability to prosecute environmental crimes to advisory and educational activities. Perhaps the most prominent and well-functioning such office is Future Generations Commissioner for Wales. An early draft of the United Nations agreement from the 2012 “Rio+20” summit, The Future We Want, proposed the creation of a United Nations High Commissioner for Future Generations, a global role similar in authority to the high commissioners for refugees and human rights. But the proposal — which advocates criticized as weak — did not survive the negotiating process and was dropped from the final text. FutureJustice.org – Global view of mechanisms recognising future generations. Includes an interactive map that shows where institutions exist, or where reference to the rights of future generations (e.g. rights to a clean environment) are included in official national documents. Not all the links are working or are updated (as of Mar 2018). Network of Institutions for Future Generations – Members List. Provides web links to a number of relevant national institutions, which take varying forms (at least one, Israel’s commissioner, is listed as “former”). The website does not seem to have been updated since early 2017. In the British Museum, there is a stunning example of a duho, a type of chair used by the chieftains of the Taino people in the Caribbean. Christopher Columbus himself was offered the honor of sitting in one of these, on the island he later named Hispaniola (now called Haiti, then called Quiqueya). Columbus took his seat at the beginning of a century that saw the Taino people enslaved, oppressed, and almost completely extinguished by European colonization and disease. But the duho represents much more than just a seat of political power or the representation of a ritual spirit (in this case, a dog-like figure with golden eyes, named Opigielguouiran). The duho was a doorway to the future. The Taino, like many peoples throughout pre-history, used hallucinogenic drugs and ritual to enter another state of reality where they could commune with the gods and seek information about the future that was vital to them. Seated on a duho, high on snuff made from cohoba bark, the Taino leaders — who were both male and female — could see what was coming and decide what to do: plant crops, prepare for a hurricane, go to war. Unfortunately, these seer-chieftains had not been able to foretell the arrival of the Spanish, and therefore could not prevent the collapse of their own civilization. The duho is a powerful reminder not just of this one people, and this one decisive moment in world history. It stands, symbolically, for an enormous variety of pre-modern traditions in the practice of prophecy. For prophecy is a seat of power. Human civilization was divided into several great tracks of development many thousands of years ago — African, Eurasian, Australasian and American. Some of these peoples remained quite isolated from each other over many millennia, separated by vast seas and continental distances. And yet nearly all of them, based on the archaeological and anthropological evidence, had developed methods of prophecy: techniques, often supported by technologies, for peering into the future. The capacity for prophecy was one of the most prized skills in the ancient world, equivalent in importance to the skills of war, conquest, and political leadership. We know this because many esteemed prophets of old are just as famous today as the kings and conquerors they served (or sometimes chastised and berated). Several of the world’s great religions rest on a foundation laid by ancient prophets, who not only foretold the future, but also adjudicated right and wrong behavior as well as belief. That ancient prophets and prophecies are so deeply embedded in today’s religious practice is evidence of the massive power of future-thinking. For many people, the way ancient prophets thought about the future still provides the basis for their entire contemporary way of life. A modern, secular worldview would dismiss supernatural prophecy — foreknowledge of the future, gained by means other than scientific observation and prediction — out of hand. The universe simply does not work that way: direct observation of the future is impossible for human observers (except in science-fiction). So why has prophecy been so essential, and so overwhelmingly powerful, throughout so many millennia of human experience, right up to the present day? Fear is a very powerful emotion. As anyone who watches a horror movie knows, the frightened anticipation of meeting a monster is more uncomfortable than the actual moment of that monster’s appearance. However we choose to do future-thinking — whether it is by ascribing supernatural meaning to natural events, seeking out drug-induced hallucinations, praying intensively to the divine, or studying phenomena for patterns that repeat and can therefore be predicted — we do it to reduce uncertainty and anxiety, danger and risk. Ancient prophets (and modern ones as well) usually return from their journeys into the future with instructions. If we do things in this certain way, if we align our beliefs and ethical principles according to these guidelines, we will be safe and we will prosper. If we do not, all is lost. 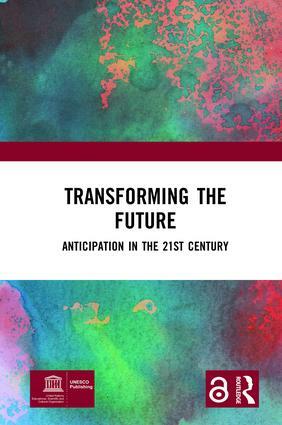 This short video — a collection of short interviews with professors and consultants — summarizes a forthcoming UNESCO book that covers the field of “anticipation,” the latest way of framing foresight and future studies. It draws on the work being done in UNESCO Futures Literacy Knowledge Laboratories, all around the world. Here are some notes from the video. Actual quotes are marked; otherwise the notes are summaries of statements made by the named expert. Anticipation is the transformation of what we are able to see about the future into action. Watching a weather forecast is not anticipation. Watching a weather forecast and, as a consequence, taking your umbrella before going to work is anticipatory behavior. I look at the future from the standpoint of probabilities. It’s like a branching stream of probabilities. And there are actions that we can take that affect those probabilities, that accelerate one thing, or slow down another thing, [or] introduce something new into the probability stream. As a futurist, I just don’t do “positive” and “negative”. I actively avoid that kind of value judgment. Wishful thinking and fearful thinking gets in the way of an objective understanding of change-drivers. In September 2017, an esteemed group of scientists — geologists, physicists, chemists, archaeologists, geographers, biologists, and oceanographers — published a milestone paper in a relatively new journal called Anthropocene. Launched just four years previously, the journal followed the creation of its titular concept, but preceded the official declaration of that concept’s reality. The Anthropocene is the notion that this particular time on planet Earth, the time when humans are changing global ecosystems and geophysical patterns in profound ways, deserves its own name. The Holocene is the name given to the last 10,000 years, after the glaciers melted and we restlessly nomadic humans began to settle down and invent houses, agriculture, cities, nations, economics and technology. The Anthropocene is the result. In the article, which is entitled “The Working Group on the Anthropocene: Summary of evidence and interim recommendations,” the scientists declare the Anthropocene to be “stratigraphically real.” Here is what these words mean, in practical terms: we are leaving an indelible, geological mark on the planet. Imagine a time, millions of years from now, when humans no longer exist (at least in our current form — perhaps we will have become clouds of sentient energy, wafting through a multi-dimensional cosmos, with vague memories of the blue-green planet of our birth). Imagine that the geologists of that time, who have evolved from one of today’s lower mammals, start digging. What will they find? At a certain layer of rock, which will be proven to be roughly the same time, all over planet Earth (or whatever they shall call their home in the solar system), the geologists will discover evidence of a profound transformation. They will find sudden changes in erosion patterns, and in the way sediments shift along ancient river beds. They will find molecular evidence of changes in the carbon cycle, the nitrogen cycle, the global dispersion of phosphorous and other elements. They will note a precipitous (in geological terms) rise in sea levels, and a rapid decline in polar ice. They will find the fossil evidence of extraordinary species that once walked the planet, but suddenly went extinct; and they will find evidence of other species, never before seen in the fossil record, that suddenly appear everywhere, in massive numbers. It is unlikely that these future geologists will know that we called the new animals dogs and cats, cows and chickens, though they will be able to trace their evolutionary roots to wolves, larger cats, wild oxen, and a jungle bird from the area now called Southeast Asia. They will certainly find bountiful fossil evidence of our species, homo sapiens. But they will have no way of knowing that we called the extinct species elephant, pangolin, gorilla, rhino. Finally, they will find copious “technofossils”, the geologically preserved remains of homo sapiens’ technology and industry. These might include plastics, buckyballs, graphene. The most surprising find will be the sudden appearance of plutonium, an element that occurs very rarely in nature, among deposits of uranium, but that suddenly will be seen as lightly distributed over large areas, “as though it had rained from the sky” they might say — which is exactly what happened. The arrival of the Anthropocene as a concept appears to concern the scientific analysis of the recent past, because much of the academic debate around its introduction has circled around when, exactly, to declaim its historical beginnings. Should one draw the line in geological time at 1945, when the first atomic bombs began their rain of uranium and plutonium and other radioactive fallout? Or should we dial the clock back a few thousand years, to the global spread of agriculture? In any event, the principal value of the Anthropocene is not as a tool for looking back in time, but for looking forward. Understanding that we have altered certain mega-processes in the Earth’s systems beyond restoration, that the stable and predictable conditions of the Holocene’s ten thousand years are in some definitive sense over, is a great mental aid in thinking about the future. We are not just constantly changing our human world; we are creating a new Earth.